October 19, 2018 – Diseases have been a big challenge for corn farmers this year. Bruce Battles, head of agronomy, seeds, shares how to best handle even the most challenging pathogens, including bacterial infections such as Goss’s wilt. Source: Sonja Begemann – Seeds and Production Editor – Farm Journal Media in Lenexa, KS. 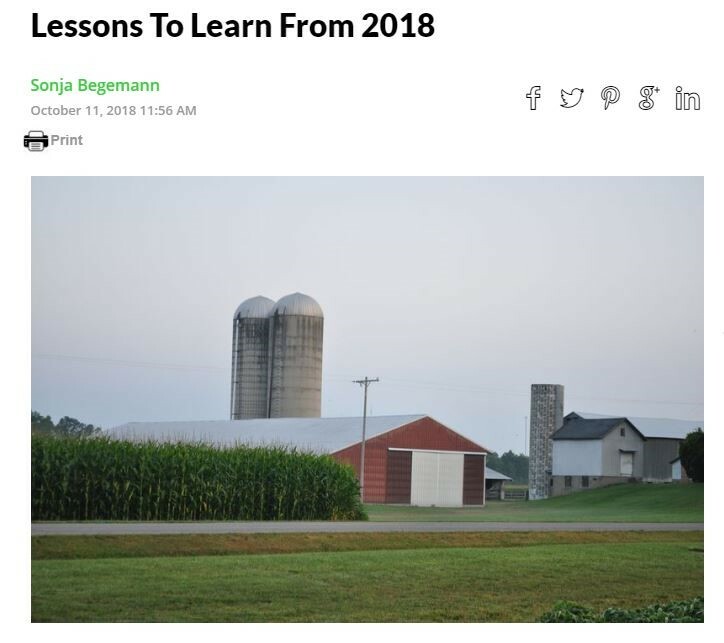 https://www.agprofessional.com/article/lessons-learn-2018 Ag Professional serves retailers and distributors of crop inputs, Certified Crop Advisers, professional farm managers and independent crop consultants. Editorial content provides information for those providing special care in the prescription, sales, application and service of crop inputs, and those maintaining their certification requirements, and grappling with new government regulations. Learn more at http://www.agprofessional.com.